Things I’ve been lucky enough to see, in today’s post. That Working Harbor Committee Students tour I mentioned the other day? 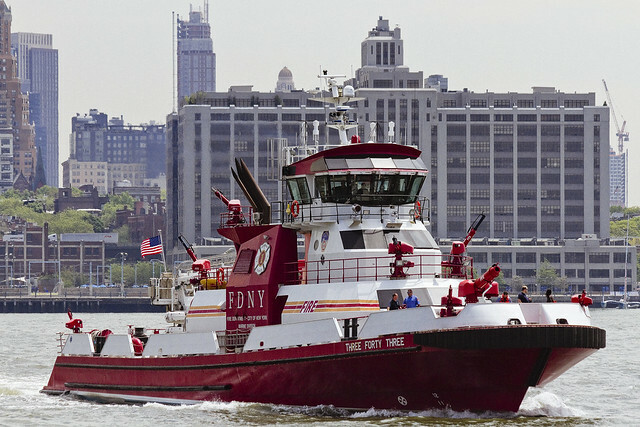 One of the cool things I got to see while onboard was the FDNY’s Fireboat Three Forty Three doing some kind of exercise. There seemed to be a heck of a security presence, more so than usual, in Lower Manhattan and on the water last week. They were probably performing security sweeps in preparation for Fleet Week, I imagine. The thrilling moment when your train arrives, which signals that the moment when the ordeal of standing on the platform is over, and that the ordeal of riding the train is about to begin. 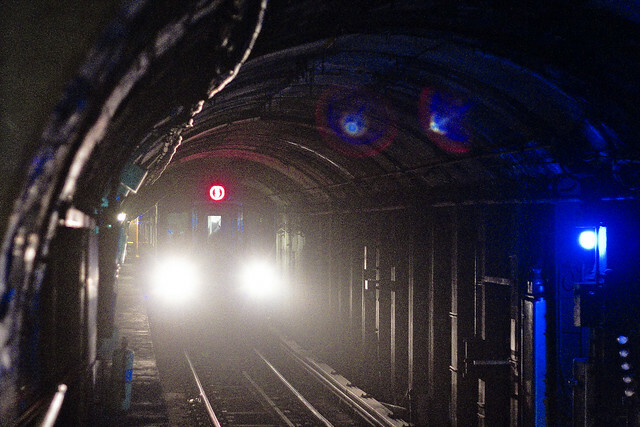 For some reason, the Lexington Avenue tunnels seem to be lit theatrically, which always lends the appearance of the 4 or 5 into 59th Street a certain dramatic flair. Hey, @MTA – maybe that’s the answer to all your problems – theatrical lighting! 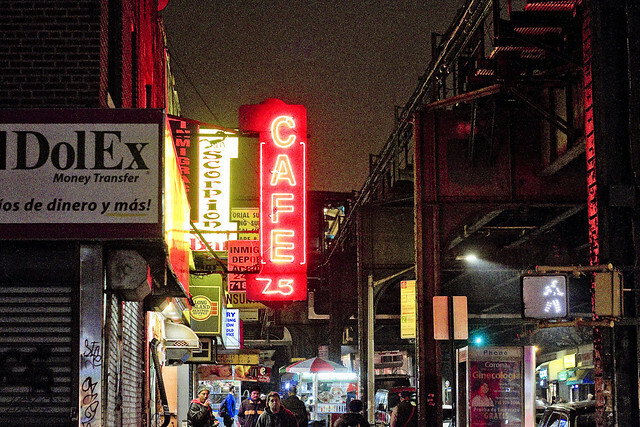 Not sure if the shot above has been presented before, but when you’re talking about lighting, Roosevelt Avenue in Jackson Heights does not disappoint. Sorry for the short post today, but I’ve got to go get my notes ready for tonight’s Working Harbor “Brooklyn Waterfront: Past and Present” boat tour.